I guess all the girls out there want to have glowing, vibrant and younger-looking skin. It's A BIG YES to definitely! 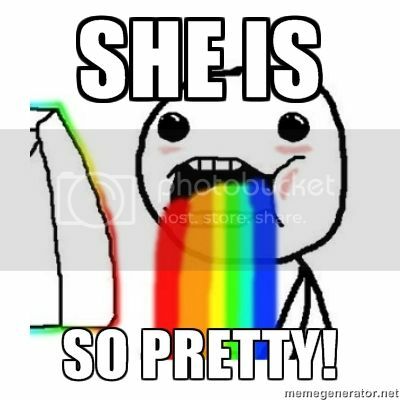 I personally want to a fabulous skin like the Korea's sweetheart actress, Song Hye-Kyo! I am sure that all of you know that Song Hye-Kyo is the ambassador for the Laneige, one of the Korea's leading premium cosmetic brand! 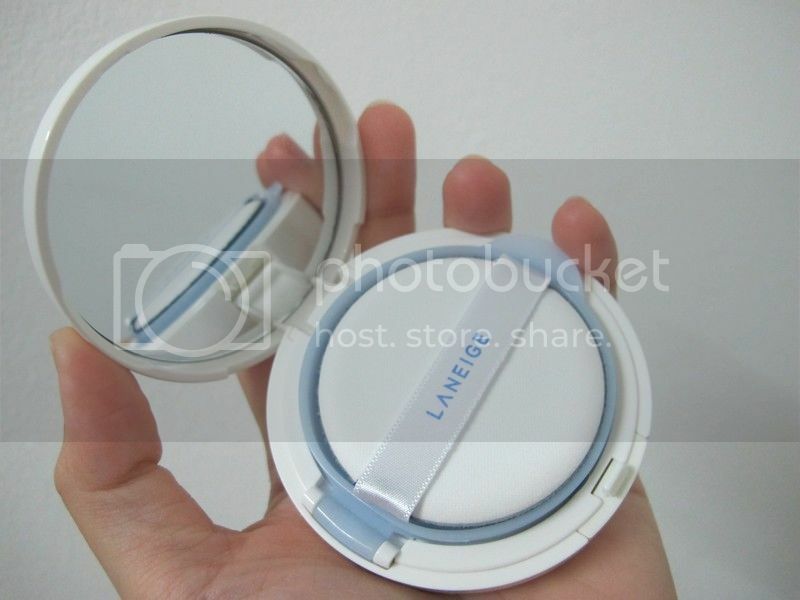 In conjunction with Laneige contest organized by Nuffnang, I am going to share with you guys which is my favourite Laneige skincare and make-up product and why? 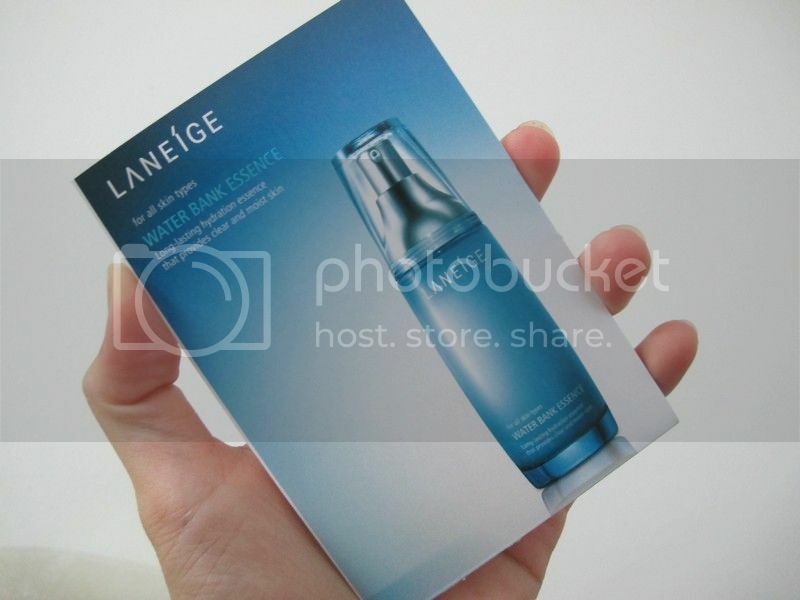 My favourite Laneige skincare would be the Water Bank essence. 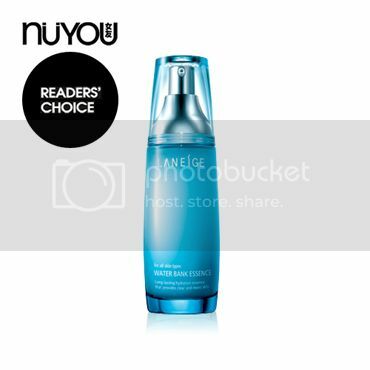 It locks up the moisture in my skin for 24 hours which creates smooth and clear skin texture. I bought a bottle of the Water Bank Essence few weeks ago and the beauty consultant gave me a few packets of the samples for me to try on. 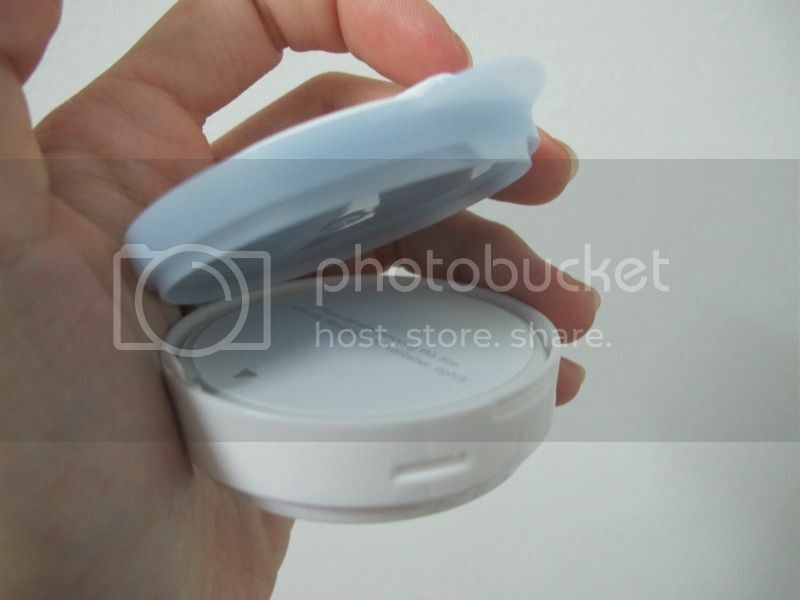 The essence comes in white colour and the texture is slighty creamy. But I really love the smell of it. This 24-hour long-lasting moisture essence that contains mineral water for skin regeneration and water pump system for circulation to safeguard skin moisture and hold it in to leave the skin smooth and moisturised. It also instantly dampens my skin with the sufficient moisture and form a natural moisture barrier on my skin surface to the moisture in the skin. I feel my skin is moisturised all day long! At the same time, it helps to enhance the keratin turnover to fight roughness and energizes the skin for smoother and healthier texture on my skin due to the chestnut and seaweed extracts. As for the make-up product, Snow BB Soothing Cushion (No.13 True Beige) will be my top favourite BB cream I have ever tried! 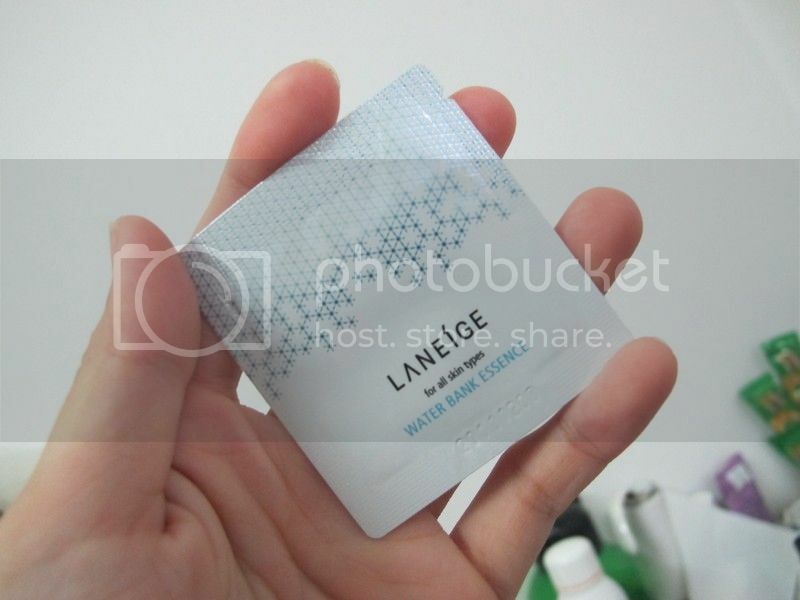 I saw the free samples voucher in the Female magazine for May and hurriedly redeemed it in the Laneige outlet in Lot10 few weeks ago. A week after I have tried the samples given by them and like the Snow BB Soothing Cushion immediately after I tried them. 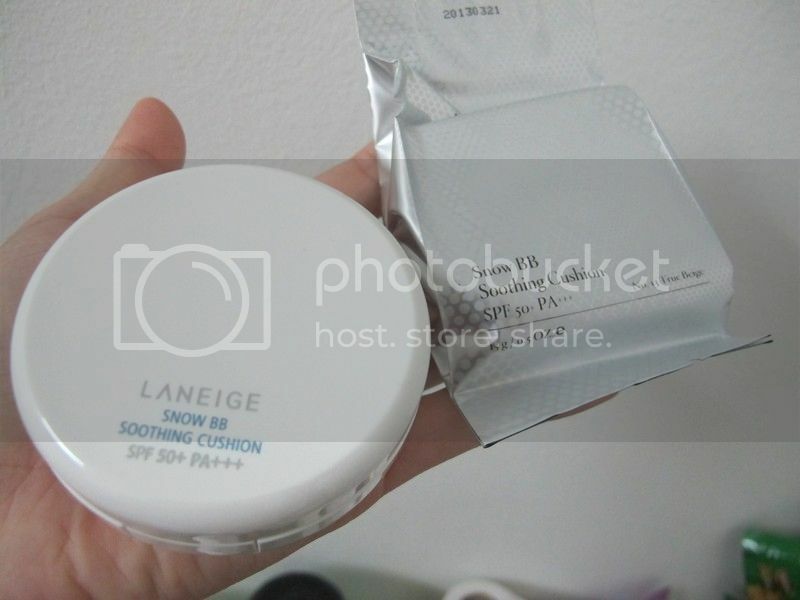 After that, I purchased the Snow BB Soothing Cushion and it comes with a refill in each box! Cool! I do not have to worry about looking for replacement in case it finishes. It has a mirror as well! This Snow BB-Soothing Cushion is a new-concept cushion-type BB with 5 active ingredients for Whitening + Sunscreen + Sweat-proof + Soothing and Make-up contained in a cushion to maximise the refreshing and soothing sensation! 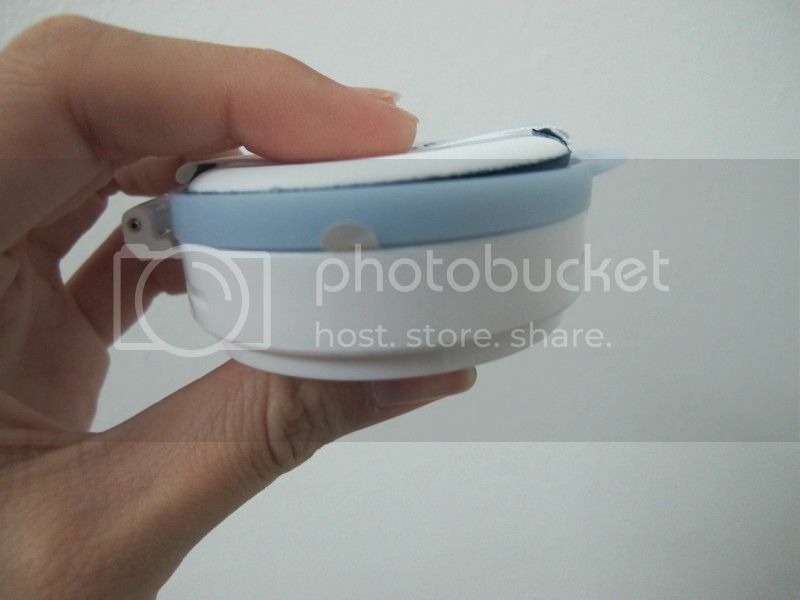 What I like the most is that the BB cushion comes in two separate containers which it's easier for us to change the refill in future after we have finished using them. 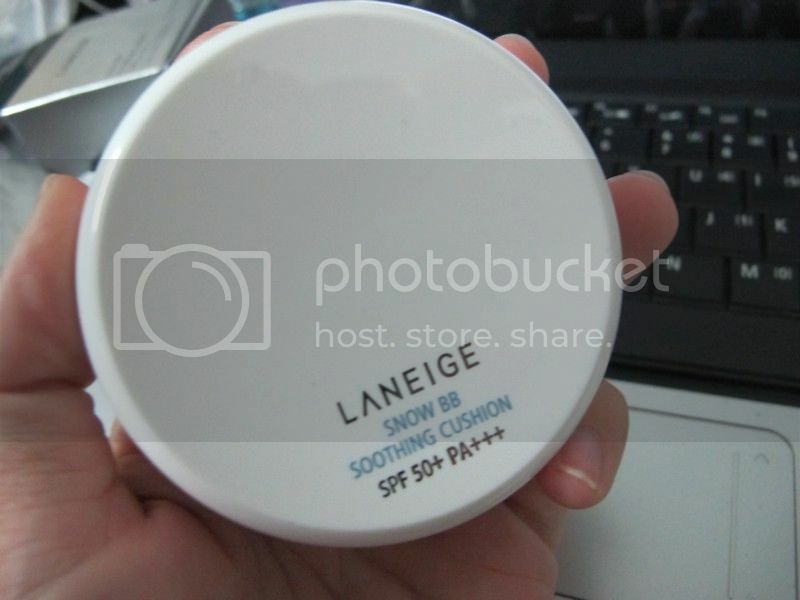 This Snow BB Soothing Cushion gives me bright and clear skin in addition to the high SPF 50+ PA +++ which blocks UV rays even under the strong sunlight. I do not have to worry about getting a dark skin on my face! Yay! 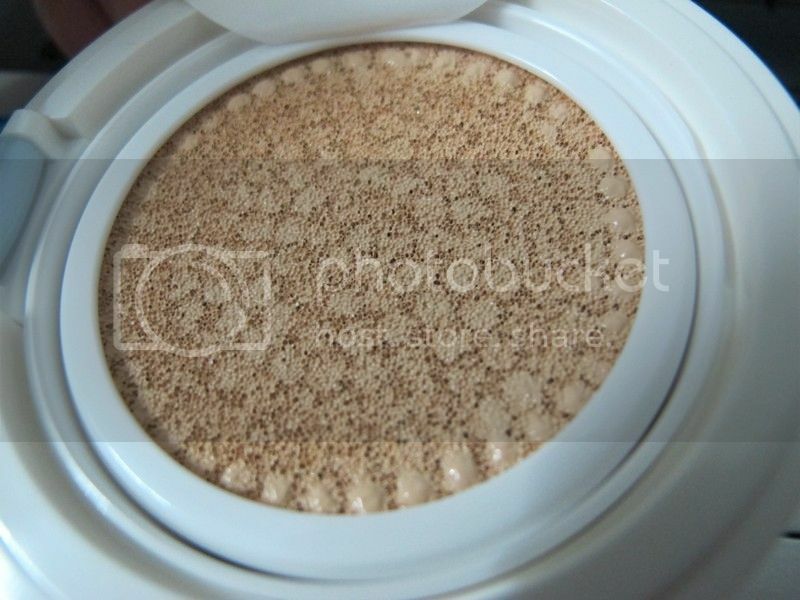 Other than that, it provides a long-lasting makeup on my skin which I do not have to touch up my makeup all the time. 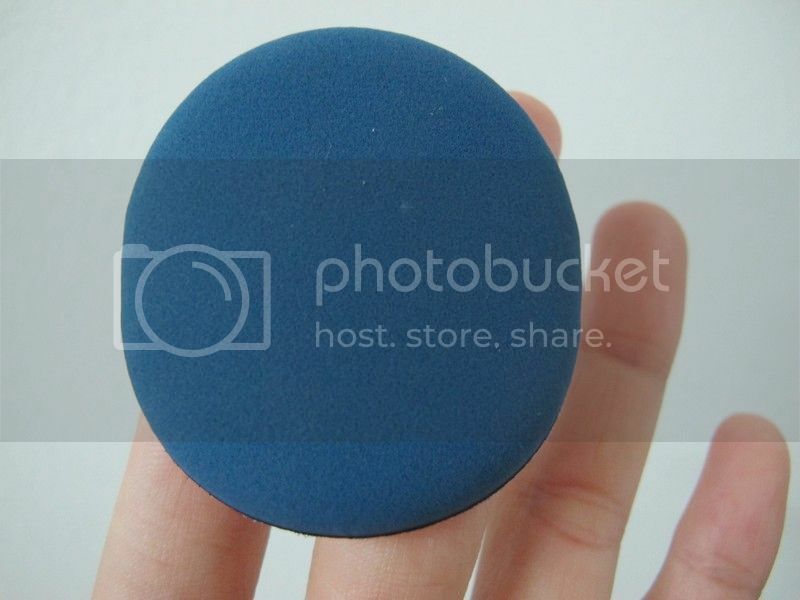 The special puff designed to feel the refreshing soothing sensation absorbs the moisture less than ordinary puff to deliver the refreshing sensation of moisture to the face and stay clean and sanitary. The formulas apply smoothly without irration and even a small amou nt can spread to cover a large area. 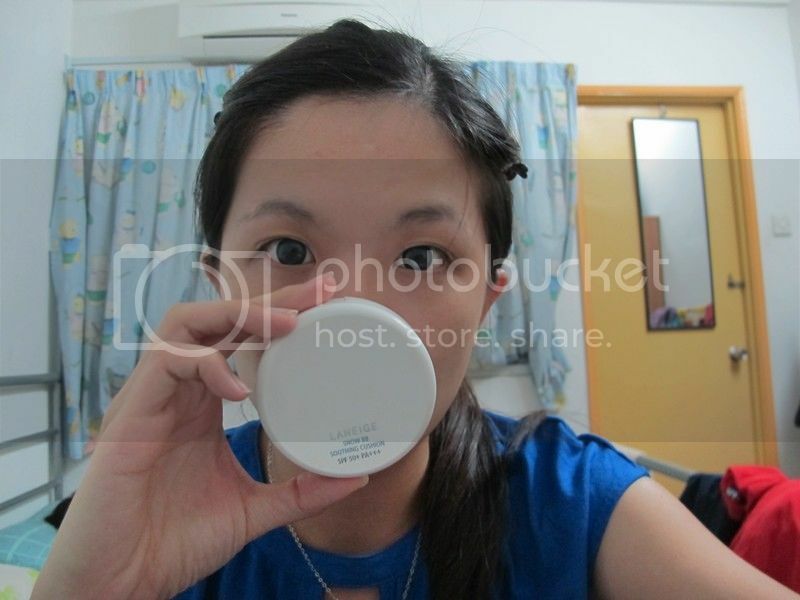 This is how my skin looked like after applying the BB Soothing Cushion! 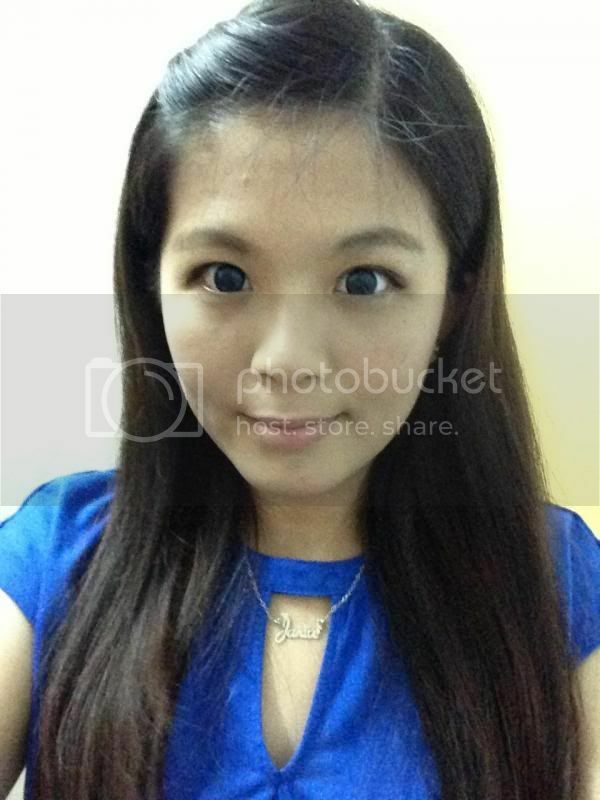 Here's the final selca shot of myself. Not really good but this is the best I can get. I sincerely hope to learn more from the Laneige beauty consultants on how to achieve flawless-looking skin just like Song Hye-Kyo. 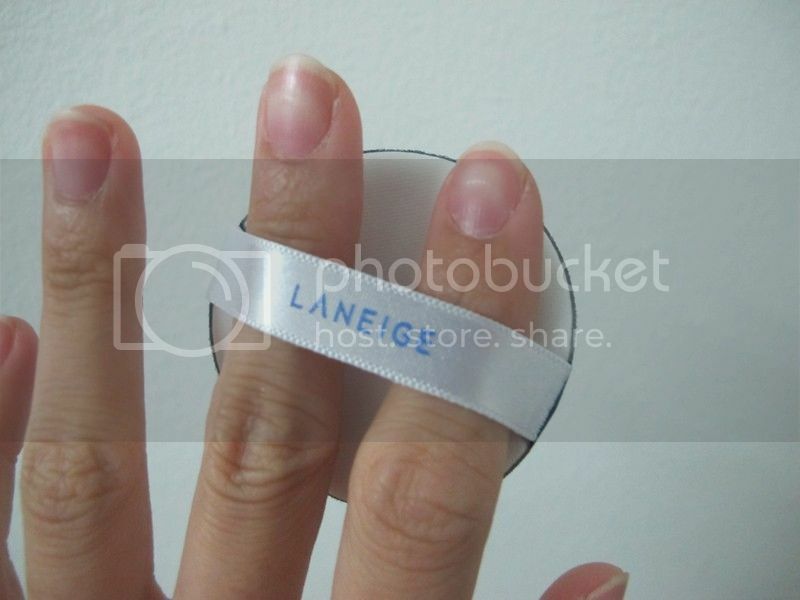 Hope to get selected to join the beauty workshop by Laneige.